Charity Navigator - CN Advisory of Children's Charity Fund, Inc.
Children's Charity Fund, Inc. has historically reported fundraising expenses on their federal tax return called the Form 990. However, Children's Charity Fund, Inc.’s most recent Form 990 for 12/2015 does not list fundraising expenses. Based on our experience, charities are only rarely able to raise substantial sums of money without incurring any associated fundraising costs. 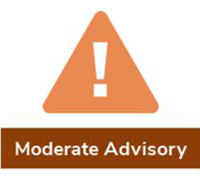 We have reached out to Children's Charity Fund, Inc. for further clarification, but have not received an adequate explanation and have thus issued this Moderate Concern CN Advisory. I want to donate to Children's Charity Fund, Inc.